and filters it’s easy to keep tabs on a vast installation. to your players for use by other modules”). player view"). It will appear on the far right hand side of the window. worth noting that you can change the name of a player in its properties. 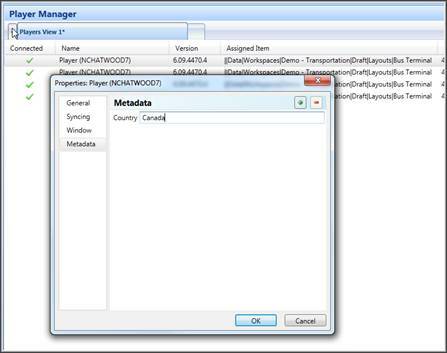 to choose the metadata title of Country being equal to Canada. Once applied, my player view changes as expected. Save As. This view can now be opened by any Studio user.